One woman. One bicycle. One amazing goal. 2018 World’s fastest person on a bicycle at 183.9mph. On September 16, 2018, Denise Korenek (Mueller) broke the overall (men’s) record of 167 mph with 183.9mph!! Get the latest news and receive a free booklet of inspirational quotes from Denise and John! We value your privacy and promise to never sell, rent or share your email. What is the Paced Bicycle Land Speed Record? Bicycle records set when the cyclist drafts (rides) behind a motor vehicle to minimize wind resistance. The vehicle is usually modified slightly by adding a tail fairing (an exterior structure) to keep the wind off the cyclist who is riding behind it. This type of record was invented by Charles “Mile-a-Minute Murphy” who drafted a train to set a 60 mph record at end of the 19th century. In order to accomplish this feat, a mile of plywood sheets was attached to the railroad ties ensuring that Charles would have a smooth surface riding behind the train. 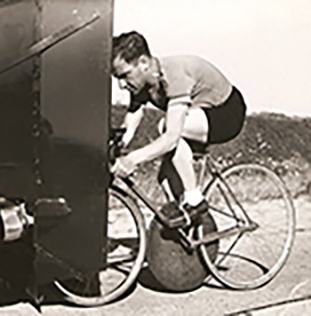 In 1938, Alfred Letourneur reached 91mph at a velodrome in France riding behind a motorbike. 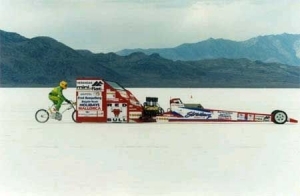 In 1985, Denise’s coach and 3 time Olympian, John Howard, set the record at 152 mph riding behind a dragster car at the Bonneville Salt Flats in Utah. In three separate centuries, less than a dozen people have set a bicycle land speed record. On September 14-17, 2018 Denise Korenek will attempt to break the overall (men’s) record of 167mph following her setting a FIRST ever women’s record in 2016 at 147mph! She will be using the same vehicle the current men’s record holder, Fred Rompelberg, used to set his record. Denise has an inner drive “To Be Fastest!.” She describes the moment when the concept of being the first woman to set a Land Speed Record on a bicycle was presented as an epiphany similar to the explosiveness of “a match being thrown on gasoline.” There was no looking back. 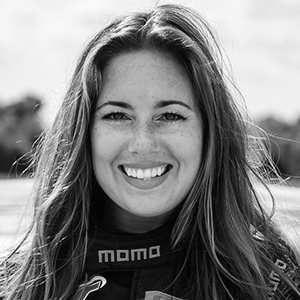 After accomplishing her goal in 2016, that same drive pushed her to raise the bar on the goal to the next level in 2018 … to break the overall (men’s) record of 167mph! Denise raced bicycles as a teenage under the coaching of both Coach Doreen Williams (Smith), and Coach John Howard. Denise accumulated 13 national championship & 2 World Championship podiums before “retiring” her bicycle racing days to enter the family security business (www.RSFsecurity.com) and raise a family. Twenty three years later, she came out of “retirement” and started racing after meeting back up with her coach, John Howard, who convinced Denise to get back on the bike to ride a Challenged Athletes Foundation charity ride. 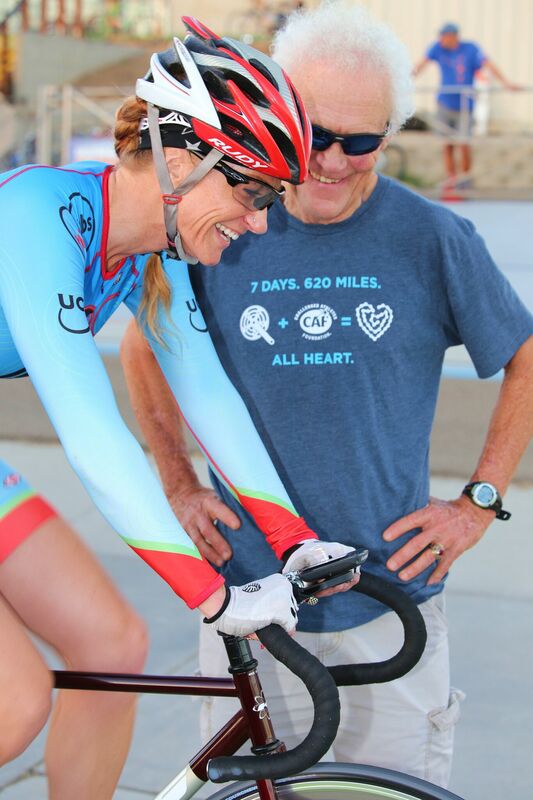 Coach John Howard, who is a 3-time Olympian and member of the US Cycling Hall of Fame, found that spark still in Denise who was now in her 40’s that she had when she was a teenager. John approached Denise about the idea of being the FIRST WOMAN ever to set a record that he had set himself over 30 years ago at 152.2 mph. So with a goal of being the FIRST WOMAN ever, spanning three separate centuries, Denise had a huge goal to focus on. Racing bicycles and cars, Denise is no stranger to speed and adrenaline. Combining her competitive drive with her natural athletic abilities, this land speed record is the perfect goal for Denise to strive to accomplish. Denise has also finished on the podium in her other sport love- motor racing. She drives go-karts, rides off-road motorcycles and has even had a run on the Bonneville Salt Flats in her modified Mini Cooper. Denise’s personal journey will provide an inspiration to other women (and men) to follow their dreams no matter what life path they have traveled. In 2016 Denise may have set the first women’s record of 147mph, but 2017 proved to be quite and exciting year as well. She had a terrible bicycle training crash where she broke her shoulder blade and a rib, she ran the Great Wall of China Marathon, she met and married the man of her dreams in 111 days & was shot in the leg at a firearms competition. Nothing seems to slow Denise down; especially when she has a goal in her sights … breaking the overall paced land speed record in September 2018 is certainly that goal! 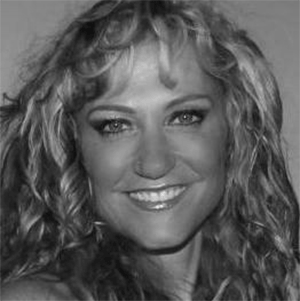 Denise is a mother of 3 adult sons and currently the CEO and second generation in the family security business. Finding a balance between responsible adult life as a mother and career woman, and training for such a huge goal has had its challenges, but has also been the most rewarding. 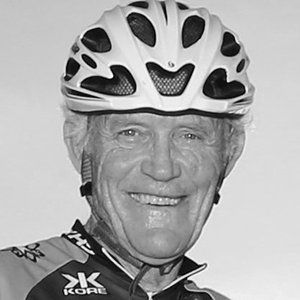 John is a legend in American bicycle racing. Denise is no stranger to speed. No, They Weren’t Crazy, but… Paced cycling events have been a part of the fabric of bicycle racing from the early days of the sport. As early as the 1870s, cyclists began pushing their high wheel “Penny Farthings” for more speed on banked tracks. The first pacing of cyclists was accomplished with human pace, teams of powerful racers pacing from tandems and triplets. The advent of the motorcycle, automobile and airplane (each brought to life through the guts and gears of bicycles) accelerated the pursuit of the bicycle-powered ‘need for speed’. Project Speed was created to break a world record. 60 mph – Drafting behind a train (boards placed along the tracks) – Nationality: USA. 76 mph – Nationality: Belgium. 80 mph – Nationality: France. 100 mph – Pedaling behind a midget race car – Nationality: France. 87 mph – Nationality: France. 127 mph – Nationality: France. 140 mph – Cycling behind a Chevy dragster in the Bonneville Salt Flats – Nationality: USA. 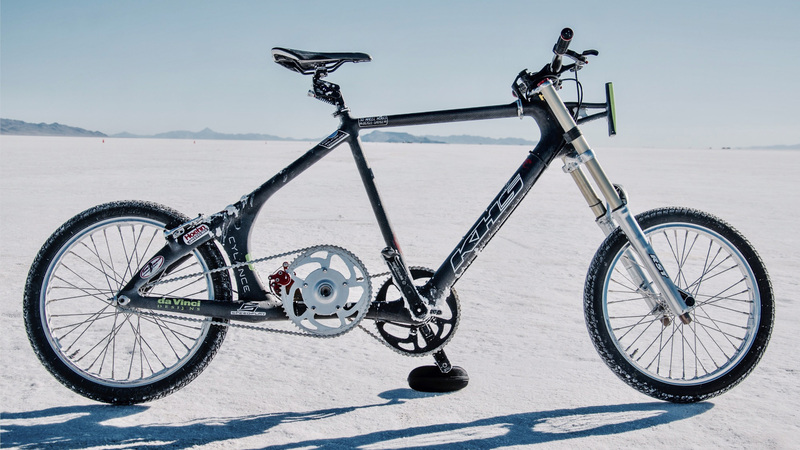 152.2 mph – Cycling behind a race car in the Bonneville Salt Flats – Nationality: USA. 167 mph – Cycling behind a race car in the Bonneville Salt Flats – Nationality: Netherlands. 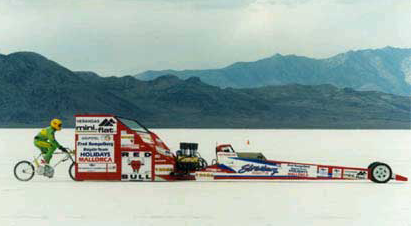 147.7 mph – First Women’s Record Holder – Nationality: USA. The bicycle Denise will use is sponsored by KHS Bicycles (www.KHSbicycles.com) and custom designed for this record. It will have 17″ high speed rated motorcycle wheels & tires to help reduce the center of gravity. The frame is elongated for stability and utilizes a “short travel” suspension to dampen high speed vibration. It will also be fitted with a steering stabilizer to eliminate any speed wobble at high speeds. The bicycle is hand made by Len Lochmiller from San Diego in conjunction with SD Wheelworks (www.SDWheelworks.com) in San Diego. The double reduction gearing and drivetrain is custom made by Todd Schusterman of Davinci Designs www.DavinciTandem.com to allow Denise to pedal the bicycle at a rpm that allows her to provide the necessary power to achieve 168mph. CBS 8 San Diego: Denise Korenek (Mueller) is a true believer. 1. What is the appeal of the Land Speed Record? It is uncharted territory. Something no Woman has done before, yet men have been setting these records starting with Charlie “Mike a minute” Murphy in 1899 The record has been broken about a half dozen times since. My coach and friend John Howard set the record in 1985 @ 152 MPH. 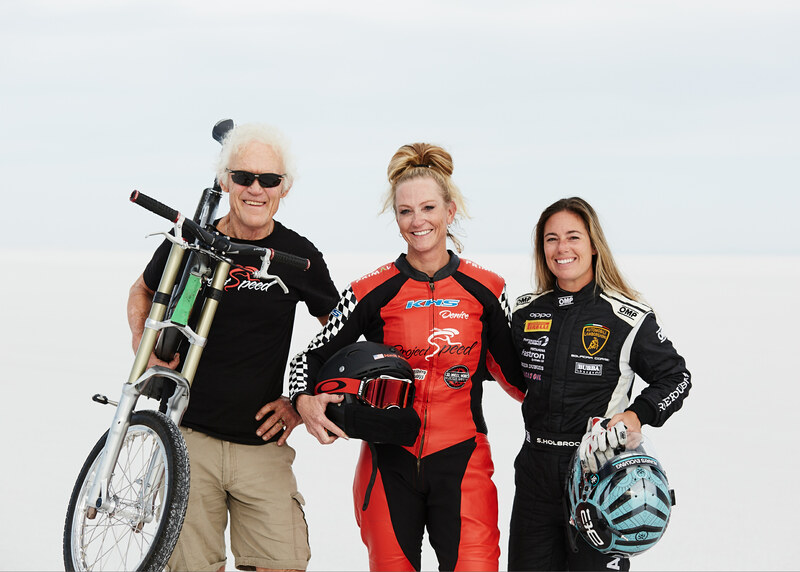 I want to give women a voice on my bike at Bonneville. I want to be the fastest woman on a bicycle. 2. What is the special appeal of Bonneville? Bonneville is shrine of speed, the mecca of all things fast. I’m an Adrenaline junkie so I view the Land Speed Record as part of my destiny. To do it on Bonneville is not only necessary for safety at the speed goal of 140mph, but an honor to share with so many other amazing people that have set other speed records. 3. Who is your team? Yes, it’s all about the team. My coach John Howard keeps me fit and on point with my training and racing. Working with Fred Rompelberg to use his current record holder car is essential for creating a draft. The driver is critical for propelling the draft, (and I’d love to have a renowned driver pace me) my mechanics prep the car for speed and safety, and the USFRA and Guinness sanction our record and make it official. 4. What sort of speed are you looking to do? The current record for Men is 167mph. I am looking to go 140mph or better, although the final speed will have a lot to do with the condition of the salt on the Bonneville Salt Flats. 5. How did this idea come up? My coach, John Howard brought the idea up to me over lunch in late 2012. Since he had broken the record in 1985, he knows what is physically and mentally required in someone to go after this record. Having been my coach since 1987, John knew I had what it took to go after this record. I hadn’t thought about going after a Land Speed Record until John brought up the concept. Once he did, I immediately wondered why I hadn’t thought about it before. I was completely on board from the first mention of it! 6. How are you training for this? Bicycle racing, fitness training & speed workouts on the Velodrome. We will be doing more motor pacing behind a motorcycle to help simulate the high speed in-draft element. 7. What is special about the bike used ? 8. Is there a current women’s land speed record? No, we will be the first! 9. Who will drive the car? There are many available options for this position, but we would like to secure an experienced female race car driver. 10. How do you communicate with the driver? There will be a two-way radio system in the helmets of the race car driver & myself. 11. What type of gearing is necessary to do this? The gearing will be similar to what John Howard used for his record, which was around 130 feet per revolution of the pedals. It will be a double reduction single gear set up. The final gearing will be customized to optimize my particular physical pedal power efficiency. 12. What will you wear? I will be wearing a custom made Leather & Lycra racing suit designed to allow the movement of my legs and to allow me to pedal fast while having protection in all the necessary areas. 13. What issues may cause this to not happen? Wet weather will make it unable to ride on the Bonneville Salt Flats. 14. I hear you are towed, why is that? In the same way previous men’s records have been done, I will be towed to allow my legs to turn the enormous gear over under my own power. Since the bike has only a single gear, it is impossible to have one gear that is used at 10mph all the way up to 140mph. The gearing has to be setup so that it is most efficient at the highest speed. Think of it as a racecar that only has 4th gear to create a record. That car could not start in 4th gear, so as is customary in setting speed records, there is assistance in getting it to a point that it can run under its own power in that high gear. It is the same theory. 15. Is there a charity involved? Yes, we are partnered with World Fit (WorldFit.org) which is the Olympic Alumni Charity that focuses on the eradication of Childhood Obesity thru fitness and improved health. 16. What are your accomplishments? I started racing bicycles in 1987 as a junior athlete. At the end of 1991 I “retired” from racing with 13 National Championship titles in 3 bicycle disciplines (Road, Velodrome & Mountain Bike) along with 2 World Championship podium finishes. During my 23 year retirement, I raised a family, ran my family business and stayed in shape by running marathons and finishing an Ironman Triathlon. In 2014 I entered the bicycle racing arena once again and earned another National Championship in the Criterium. Having raced as a downhill mountain biker in the early 1990’s, the thrill of adrenaline is still an inherent part of who I am and is a driving force behind setting this Land Speed Record. 17. How far do you have to go & how long will it take? The official distance for the timing trap is one mile after approximately a 3 mile lead up distance to get up to speed and under my own power. It will take approximately 25 seconds to go the one mile at my target speed of 140mph! 13. Tell us about the type of car that is used? We will be using the same car that the current men’s record holder used. It is a 1000 horsepower converted rail dragster with a faring attached which will allow me to draft closely in the slipstream. 19. What happens if you get out of the draft? Hitting a 140mph wall of air will knock me off my bike. 20. What happens if you crash? We take all precautionary measures, such as the special suit and we practice. 21. John Howard: Why do you believe in Denise? Denise believes in herself and her spirit is indomitable. She has the heart and soul of a champion. To make this dream a reality, we are fundraising to help offset some of the large expenses involved in attaining this goal, including pace car, custom bicycle, training, travel, etc. We ask that you provide generous support, and also follow along for this historic ride. We are offering many fantastic perks for your 501c3 donation! We would be delighted to hear from you regarding any questions about the event, sponsorship opportunities, or even just to send a shout of support to Denise as she prepares for this awesome challenge!